Many businesses are based on creating desirable experiences, products and services for users. However in spite of this, companies often fail to consider the end user - the customer - in their planning and development processes. As a result, organizations find themselves spending huge sums of money creating products and services that, quite simply, don't work. User experience research, also known as UX research, focuses on understanding user behaviours, needs and motivations through a range of observational techniques, task analysis and other methodologies. 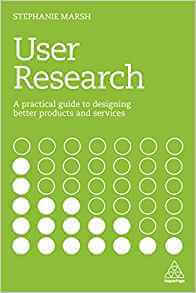 User Research is a practical guide that shows readers how to use the vast array of user research methods available. Covering all the key research methods including face-to-face user testing, card sorting, surveys, A/B testing and many more, the book gives expert insight into the nuances, advantages and disadvantages of each, while also providing guidance on how to interpret, analyze and share the data once it has been obtained. Ultimately, User Research is about putting natural powers of observation and conversation to use in a specific way. The book isn't bogged down with small, specific, technical detail - rather, it explores the fundamentals of user research, which remain true regardless of the context in which they are applied. As such, the tools and frameworks given here can be used in any sector or industry, to improve any part of the customer journey and experience; whether that means improving software, websites, customer services, products, packaging or more.